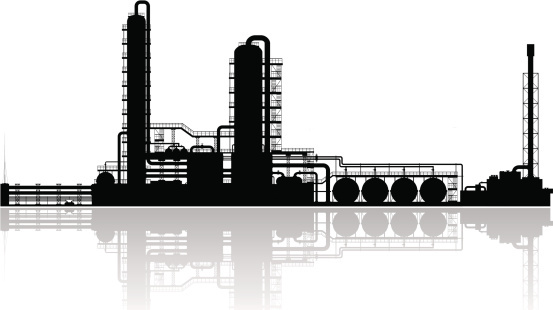 The oil and gas industry continues to play a vital role in the economy as energy demand rises. With governments, regulators and major industry players increasing their activities and investment into the industry, oil and gas is fast becoming one of the most lucrative areas for profit and career growth. However, to get a piece of this big pie, one needs a solid foundation in fundamental concepts of petroleum engineering. Petroleum Engineering for Other Disciplines is a 5-day introductory course for professionals from non-petroleum engineering backgrounds who currently work in, or wish to enter the petroleum industry. It is specifically designed for those who want to enhance their knowledge and skills set for better career opportunities in oil and gas. The course is also suitable for individuals in the various fields – legal, financial, journalism or business etc. – whose job requires regular dealings with oil and gas, or simply wish to learn more about the industry. Participants will learn about the story of oil, from its origin to the end user. The objective is to provide an overview of the fundamental operations in exploration, drilling, production, processing, transportation and refining of petroleum. Learn about the mechanism involved and conditions required for hydrocarbon reservoir formation, and the techniques used to find them. Casing design, cementing, and how to access and evaluate hydrocarbon reservoir while minimizing risks and maximizing returns. Learn about nodal analysis, well design, safety measures, wire line services, perforation, artificial lift, various production problems, work over, and advanced well, etc. Discuss reservoir fluids and rock, production mechanism, primary and secondary recovery, enhanced oil recovery techniques (EOR), fluid sampling, laboratory testing, and reservoir simulation. Learn about oil and gas processing (separating water, oil and gas), dehydration, water treatment, offshore developments, and environmental impact. Additional Topics : Intelligent pigging, Heavy oil, Unconventional reservoirs, and many more. Professionals coming from other disciplines (Technical/Non-Technical) who wish to enhance their existing skills set and increase their understanding on fundamental operation of petroleum engineering to support their employment and career progression in the oil & Gas industry. Legal – Accounting – Business Development Strategies –Service Providers to Oil & Gas industries - General Management (Chemical/Technology/Materials/Providers/Developers) –– Commercial – Finance – Finance & Administration - Government Agencies - Marketing & Publicity – Investment – Supply Chain – Logistic – Journalist – Tender / contract – Planning & Budgeting- Marine & Offshore – Engineering Services – Technical disciplines (Production, Drilling, Project, HSE, Exploration, E&I, Facilities, Researcher, Rotating)- instructor of other relevant topics who wish to know more about petroleum engineering.Human resources personnel who need to understand terminology and buzzwords on resumes. For details, information on facilitator and the full course outline, please refer to the complete brochure below. Copyright © 2014 Petro1. All Rights Reserved.